Funeral services for Ms. Betty Jean Spivey will be held at 2:00 p.m. on Saturday, September 8, 2012 at Little Poplar Spring Baptist Church in Byromville, GA. Reverend M. Willis will officiate and burial will follow in the Church Cemetery. Betty Jean Spivey, daughter of the late Maryland Jackson James and Hartwick Spivey was born April 5, 1946 in Macon County, Georgia and was educated in the Macon County public school system. At an early age, Betty moved to Atlanta, Georgia to live with her aunt and uncle. She worked several jobs during that time. She departed this life on Friday, August 31, 2012 at the Coliseum Hospital in Macon, Georgia. She leaves to cherish her memories: five sisters: Fannie Greene of Montezuma, GA, Chief Petty Officer Cheffie Williams, U.S. Navy, Retired of Virginia Beach, VA, Maryland James and Lucille Smith both of Atlanta, GA and Helen Roberts of Montezuma, GA; nine brothers: Timothy Jackson, Clarence (Gladis) James, Carl Lorenzo James, and Harold Walters all of Montezuma, GA, Johnny (Joann) James of Macon, GA, Elder Elvis (Benita) James of Hoover, AL, Jarvis (Toni) Hart of Perry, GA, Mack Brown of Columbus, GA and Lafayette James of Bridgeport, CT; sister-in-law, Betty Collier of Oglethorpe, GA; aunts and uncles: Elvenia Landingham of Morrow, GA, Elmo James of Byromville, GA, Marie Jackson, Leroy (Shirley) James, Roosevelt (Rebecca) James, Lynmore (Faye) James all of Montezuma, GA, Tehart (Willie) James of Byron, GA and Bertha James of Montezuma, GA; a special cousin, Geneva Leary; a host of nieces, nephews, other relatives and friends. Funeral services for Rodney Jerome Cromer of Montezuma, Georgia will be held on Thursday, August 30, 2012 at 11:30 a.m. at the Union Baptist Church with Prophet Charlie Carr officiating. Rodney Jerome Cromer was born in Montezuma, Macon County, Georgia to the late Mr. Samuel U. and Mrs. Mary “Jessie Mae” Cromer on January 28, 1966. At an early age, he professed his faith in Jesus Christ and joined the Union Baptist Church. He received his education in Macon County, attending D.F. Douglass Elementary and High School. While in high school, Rodney served his fellow classmates as class president for the class of 1986. Following high school, he enlisted and served in the United States National Guard until he was honorably discharged in 1988. 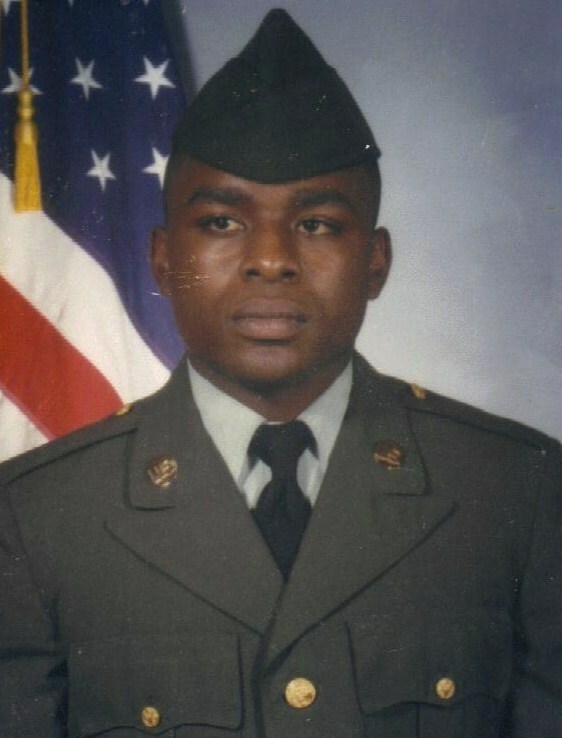 Then he enlisted in the United States Army and was honorably discharged in 1989. 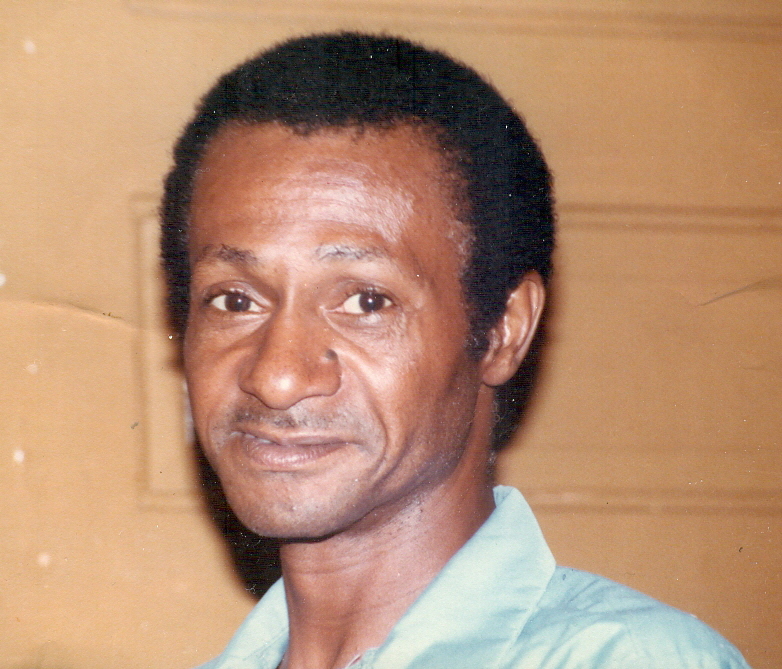 On Thursday night, August 23, 2012 Rodney said no goodbyes or farewells, but peacefully answered the Master’s call. Preceding him in death are his grandmothers, Jennie Mae Cromer and Sara Young and three sisters, Linda Latson, Judy Latson and Mildred Brown. He is survived by two daughters that he loved and reared as his own: Precious and Alope’shia Royal of Cordele, GA; a host of caring and devoted sisters and brothers: Samuel Felton, Sr. of Brooklyn, NY, Willie James Hannor and Sandra C. Mallard (Bobby) of Lithonia, GA, Lisa Rouse (Gary) of Lakeworth, FL, Paula C. Knibb (Conrad) of Stone Mountain, GA, Sara C. Walker (John), Wilbert Cromer, Cynthia D. Cromer, Marvin Latson, Paul Cromer and Tracy Cromer of Montezuma, GA, Stacy C. Scott (Marcus) of Americus, GA, Joyce C. Respress (Francis) of Ideal, GA, Jeffery Cromer of Ellaville, GA and Jennifer C. Brown of Philadelphia, PA; aunts: Frances Wallace, Willie Lou Haugabook, Effie Loftly, Mary Cromer, Mary Wynn; a loving, devoted uncle, Milton R. Cromer, Jr. (Jackie); step-mother, Rosa (Mank) Cromer; his blended family that loved and cared deeply for him: the late Judith Chatfield who showered him with motherly love and guidance; siblings of his blended family: June Chatfield, Cloe Joiner, Raymond Chatfield and Crystal Johnson; loving nieces, nephews, cousins, and many sorrowing friends including a special friend, Lenorris Miller. Funeral services for Mr. Jarvis J. Willis “J.J.” of Linnie Street Americus, Georgia will be held on Friday, August 24, 2012 at 11:00 A.M. at Union Tabernacle Baptist Church with Rev. Larry B. Sims officiating. Burial will follow at the Eastview Cemetery. Jarvis Jamar Willis affectionately known as “J.J.” was born on September 15, 1988 in Americus, Georgia to Mary Willis and Stoney Woodley. He attended Sumter County High School and was a member of Union Tabernacle Baptist Church. Jarvis died on Monday, August 20, 2012 in Columbus, Georgia. He leaves behind to cherish his memories his mother Mary Willis of Americus Georgia; one son, Jarvis Jamar Willis Jr. of Lexington Park, Maryland; one sister, Alexia Wilson (Antwan Wilson) of Columbus Georgia;, one brother, Dantavius Willis of Americus, Georgia; two uncles: Tommy (Katherine) Willis of Americus, Georgia and Adam Charles Willis of Macon Georgia; three aunts: Carolyn Davis, Shelia Griffin and Sabrina Daniels all of Americus, Georgia; two nephews: Jaquarrius Willis and Khordarrius Wilson both of Americus, Georgia; one niece, Aaliyah Wilson of Columbus Georgia; one devoted friend, Miss Megan Griffin of Phoenix City, Alabama and a host of other relatives and friends also survive. Funeral services for Mr. Johnny L. Walker of Park Row Americus, Georgia will be held on Saturday, August 25, 2012 at 2:00 P.M. at the Friendship Baptist Church. Burial will follow at the Eastview Cemetery in Americus, Georgia. Mr. Johnny Lee Walker was born in Webster County, Georgia on June 17, 1940 to the parentage of the late Mr. Robert Walker and the late Mrs. Pearline Ingram Walker. He was the second born of seven children, one brother, Mr. Frank Harvey Jr.; one sister Emma Jean Walker Carter; a brother in law Ronald Waters whom he raised as his own all preceded him in death. Johnny was educated in the public schools of Sumter County. He attended the Friendship Baptist Church. On November 24, 1962 he was united in holy matrimony to Mrs. Beatrice Waters Walker and to this union they were blessed with two children, three grandchildren, and three adorable great grandchildren Johnny set some good examples for his children to follow, he taught them about God, to follow His word, and to be a light for others. Hard work, service, knowledge, and guidance were what he so faithfully gave to his employer, Davidson Textron Inc. of Americus, Georgia for twenty nine years and retired as a Press Operator. He will be missed and remembered as an outstanding person. Johnny peacefully headed the Master’s call on August 16, 2012. As he makes his departure, he leaves to cherish his memory a beloved wife of forty nine years, Beatrice Waters Walker, Americus, GA; his two children: Mary (Raymond) Johnson and Gwennell Walker all of Americus, GA, three grandchildren: Jamaria (Kesha) Johnson Sr. , Columbus, GA, Dion Small and Kandis Johnson, Americus, GA; three great grandchildren: JaNijah Johnson, Jamaria Johnson Jr., Columbus, GA and Nigel Small, Tuskegee, AL; five siblings: a devoted brother and best friend Willie (Marie) Walker Sr., Florine Johnson, Dorothy Ingram all of Americus, GA, Pearline (Ricky) Robinson, Macon, GA, four sister in laws Teresa (Rick) Edwards, Francis Waters, Janice Ingram, Rosa Mae Harvey all of Americus, GA; two brother in law Bobby (Marilynn) Waters, Americus, GA and Donnie Waters, Jacksonville, FL; three aunts: Clara Ingram, Americus, GA, Juanita Ingram, Queens, NY and Gladys Weatherspoon, Columbus, GA, one uncle Albert Walker, Washington, DC and a host of nieces, nephews, cousins other relatives and friends, including two devoted nephews: Tommy (Rosalyn) Floyd Jr., Raleigh, NC, Broderick (Jocelyn) Waters Sr. Columbus, GA one devoted niece, Yameia (Jason) Bolden Americus, GA that he raised as his own. Funeral services for Mr. Leonard Tookes of Andrews Drive Americus, Georgia will be held on Saturday, August 18, 2012 at 11:00 A.M. at the Old Shady Grove Baptist Church with Rev. Jesse Watts officiating. Burial will follow at the Eastview Cemetery. 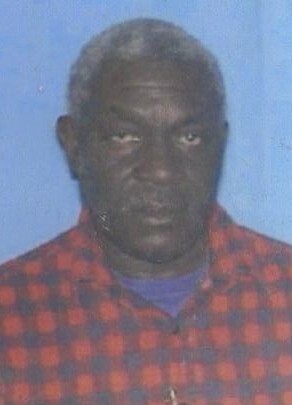 Mr. Tookes died on Wednesday, August 15, 2012 at the Phoebe-Sumter Medical Center. Mr. Leonard Tookes was born on May 31, 1952 in Sumter County, Georgia to Ms. Essie Mae Tookes and the late Mr. Roy Foster, Sr. He was educated in the public school system of Sumter County. At an early age he joined the Old Shady Grove Baptist Church. He was a faithful member until his health failed. He leaves to cherish his memories his mother Essie Mae Tookes, two children Leonard (Jackie) Tookes, Jr., of Florida and Crystal Tookes, Americus, GA; two sisters Pastor Helen (Sammy) Mercer and Vernessa Tookes; six brothers, Eugene (Kathy) Tookes, Bobby Tookes, Raymond (Patricia) Tookes, Edward Tookes, Reginald (Barbara) Dowdell all of Americus, GA and Roy Foster, Jr. of West Palm Beach; three aunts, Odessa Foster, Americus, GA, Betty Basiden of New Jersey, and Kate Davis, Atlanta, GA; two uncles, Rozelle Foster, Jr. and David Lee (Patricia) Davis and a God Uncle Jessie Lee (Barbara) Carson all of Americus, GA, including 27 nieces and nephews and a host of great nieces and nephews; cousins, friends, and dear acquaintances. Memorial Services for Ms. Charlie Maria Barnes affectionately known as “Baby Sister” will be held on Saturday, August 18, 2012 at 11:00 A.M. in the Chapel of West’s Mortuary of Americus, Georgia. Ms. Charlie Maria Barnes was born on September 6, 1948 in Americus, Georgia to the late Johnnie Barnes and the late Lola Green. At an early age she joined the Mt Olive Baptist Church. She attended McCoy Hill School and Staley High School. 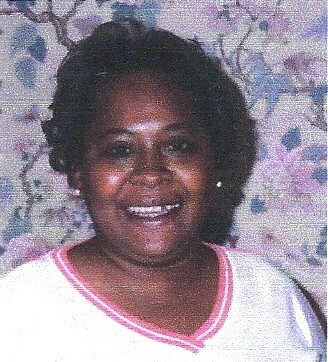 Ms. Barnes died on Wednesday, August 8, 2012 at the Phoebe-Sumter Medical Center. She leaves to cherish her memory her three sisters: Marla McGrady, Madia Green and Odella Williams; three brothers: Bobby Green, Charles Green and Bill Green; A god-daughter, Kayla Holmes; and a devoted friend Jerome Wilborn. Several other relative and friends also survive. Funeral services for Mr. Jim Greene of Americus, Georgia will be held on Tuesday, August 14, 2012 at 11:00 A.M. at the Zion Hope Baptist Church with Rev. George F. Monts officiating. Burial will follow at the Eastview Cemetery. Deacon Jim Greene was born on April 6, in 1933 in Webster County, GA. to the late York Greene Sr. and the late Bertha Harvey. Mr. Greene was preceded in death by a son, Jimmy Greene, Jr. and a brother York Greene Jr. Mr. Greene died on Wednesday, August 8, 2012 at the Magnolia Manor Nursing Center. In addition to his lovely wife of 57 years, Mrs. Dora Mae Greene, he leaves to cherish his memory, two sons, Mr. Robert Greene (Diane), Albany, GA., Mr. Daniel Glenn Greene of Durham, N. C.; Five Daughters: Ms. Dorothy Tullis, Ms. Phyllis Denise Greene, Ms. Janice Faye Greene all of Americus, GA. Ms. Melissa Amanda Holland (Eric) Tifton, GA. and Ms. Stephanie Renee Greene Columbus, GA; Eight grandsons: Clyde Tullis Jr., Darnell Ingram, Shaquiel Greene all of Americus, GA, Eric Holland Jr. and Ayden Holland Tifton, GA, James Davis and Robbie Greene; Two granddaughters: Akiel Lincoln of Savannah GA, Ms. Mckinley Genwright, Columbus, GA; One sister, Hazel Cook, New York, New York. One niece Rosa Jackson, Buena Vista, GA. four sisters-in-law: Annie B. Allen (James), Willie Pearl Murphy (Arthur), Lillian Johnson and Margie Hodge all of Orlando, Florida; four brothers-in-law: Jimmy Lee Johnson, A.B. Johnson, Jr. (Rachel), Charles Johnson and Alvin Johnson all of Orlando, Florida. Funeral services for Mr. Theodore Jones of Montezuma, Georgia will be held on Monday, August 13, 2012 at 11:00 A.M. at the Magnolia Baptist Church with Rev. Hosie Waters officiating. Burial will follow at the New Hope Cemetery. Mr. Theodore Jones was born February 25, 1951 in Chicago Illinois to the late Mr. Robert Jones and Ms. Hilda Flamon Cooks. His early years were spent in Chicago. While still in grade school, he moved to Montezuma, Georgia and was reared by his grandmother, Mrs. Maggie McKenzie. He attended the public schools of Macon County. At an early age he joined the band of believers and became a member of Magnolia Baptist Church. Theodore was united in holy matrimony to Edith Howard in 1969. This union was blessed with one child. Mr. Jones worked as a brick mason for many years. On Tuesday, August 7, 2012 the Lord called him from labor to reward. His memories are cherished by his mother, Hilda Cooks of Chicago, Illinois; two sons: Edward Howard (Donna) of Fayetteville, North Carolina and Anchonsey Montel Miller, Sr. (Teresa) of Unadilla, Georgia; thirteen grandchildren: Deondra, Taneshia, Ryshanna, Shamiyah, Xavier, De’Onna, Quintara, Erika, Jelicia, Anchonsey Jr., Tajarvious, Shamaria, and Squari; two great grandchildren: Samaria and Hayden; siblings: Charlene Rogers (Gary), Brenda Johnson, Ernestine Jones, and Thomas Cooks (Angela) all of Chicago, Illinois; special aunts: Annie Neal Collier and Cora Shelley; special uncle, Otis Evans (Willie Ruth); special cousins: Louise Jones and Barbara McKellar; special friend, Gerald Burnam; caregiver, Shonda Mathis; a host of cousins, nieces, nephews, other relatives and friends.